5/5: Uno, Dos, Tres... Fiesta! 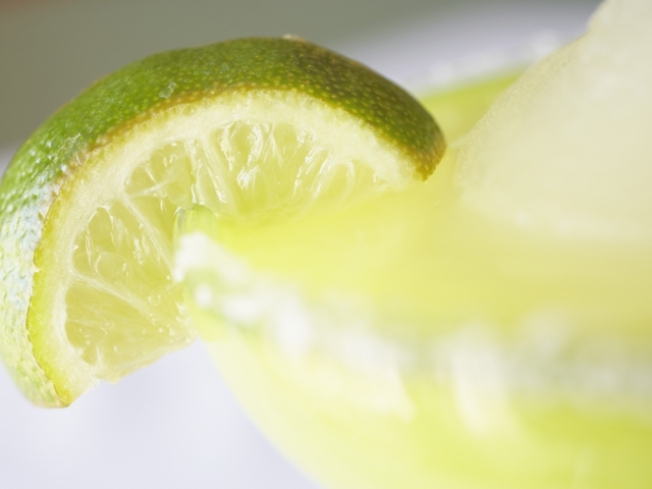 It's Margarita Monday at Mission Grill. Grab one for just $5. EVERYTHING'S COMING UP ROSA: Head to Rosa Mexicano in Mary Brickell Village to celebrate Cinco de Mayo with delicious Mexican food, live music, prizes, giveaway sand the best tableside guacamole. Good thing they serve that frozen pomegranite margarita, which goes really well with all the spicy food. STREET SMARTS: Why settle for one Mexican restaurant when you can have an entire street's worth of Cinco de Mayo fun. Head to South Beach's Espanola Way for mariachis, DJs, Mexican dancers, free margarita shots, live bands and, um, that great Mexican favorite -- stilt walkers! 6 P.M.
FROMAGE CON QUESO: Lovers of burritos and baguettes rejoice! The Grove's Jaguar, Le Bouchon, Green Street, and George's will celebrate the "true meaning" of Cinco de Mayo -- see at the "Batalla de Puebla" Napoleon III's army was defeated by General Ignacio Zaragoza. But that's enough of a history lesson -- bring on the margaritas and Champagne. TWO COUNTIES, ONE PARTY: Head to Cancun without leaving Dade or Broward County. Cancun Grill will have a great party whether you head to their Miramar or Miami Lakes location. They'll have the three M's, of course: Music, margaritas and Mexican food! CHICHI CHIMICHANGAS: Even SoBe's fancy hotels are getting in on the Cinco de Mayo action. The Raleigh will offer up a mariachi band, $7 tequila shots and margaritas, and Mexican snack. 5-8 P.M.